PORTUS 360 TO NEW HEIGHTS! 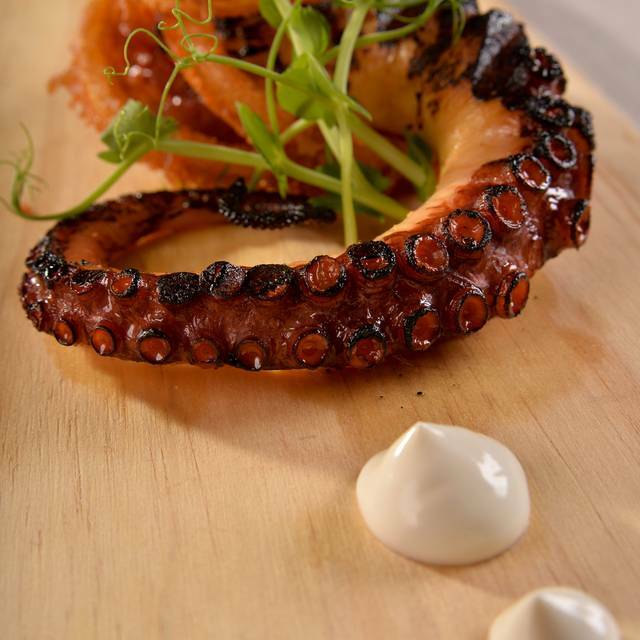 After several years in the heart of Montreal’s Portuguese neighborhood, chef Helena Loureiro gourmet address is moving to new heights, at the junction of Downtown, Old Montreal and Griffintown. 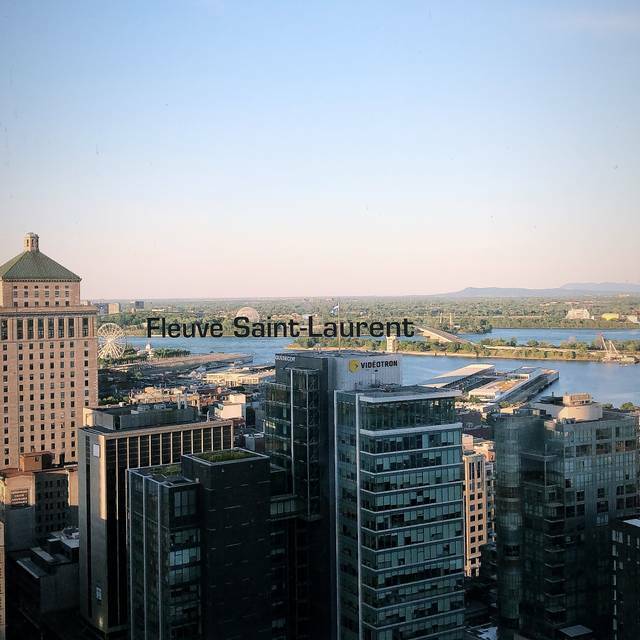 We welcome you all in this beautiful and colourful venue, located on the 30th and 31st floor of the 777, Robert-Bourassa Boulevard. Thanks to an ingenious 360-degree rotating system, you will embark on a unique "tour" of the city while enjoying a delicious Portuguese meal. This location used to be the delta restaurant that turns around MTL city. Now being Portus360 nothing in the decor has changed and same concept. The best part is the food however the service was a bit long, especially we were there for lunch, 2hrs is a bit too much. I recommend for the food but don't think I will be back. Excellent & well presented. Service is very good. The ambience is wonderful for all occasions. I dont want to write a review just leave a rating of the restaurant! It was enjoyable to dine with friends and converse without having to strain our voices. Food was excellent, portions just ok...but all in all a great night! Many times the waitress checked on us...too much is like not enough...and then we couldn't get the bill. We had to get up and search for her. 5 star experience from the moment we arrived. The restaurant is beautiful. The service was impeccable. Antonio our waiter, was second to none. The food was well represented and full of flavour. 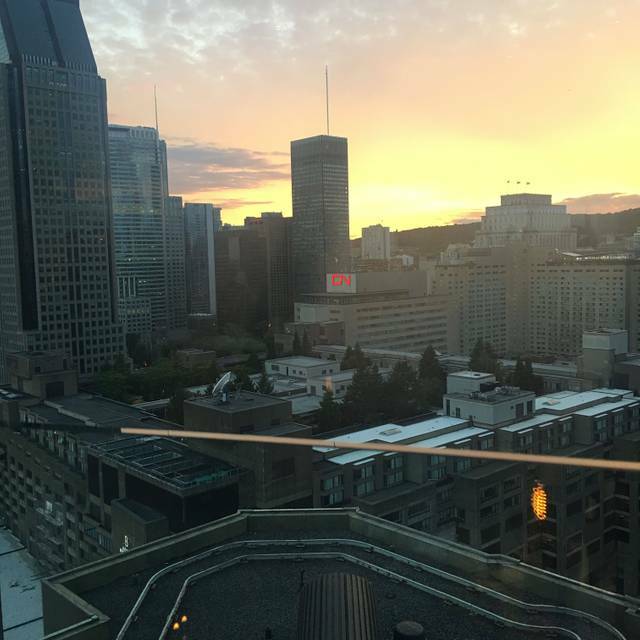 The ambiance and the rotating experience of Montreal’s skyline was breathtaking. This place is the place to be for any occasion. Hats off to the chef and the staff for a wonderful experience. I will be back 100%. We had taken the tasting menu for two last time around 2 years ago, but this time it seemed a little less rich than what we remember. The appetizers were delicious as well as the seafood entrées, but the meat this time felt a bit undercooked and less tasty than usual. Both my fiancé and I woke up the next morning with symptoms of indigestion. With regards to the service, the waiter was very friendly and respectful, but seemed way too rushed to clear the table, as he approached my fiancé's dish on two or three occasions to clear it when she wasn't even done with it and had to stop him at one point to ask him not to. Maybe it had to do with us being there late (we arrived at 10pm) but still. Overall the experience was adequate, not as great as our first time two years ago but acceptable. Food is super delicious. Service is great. The view is magnificent. 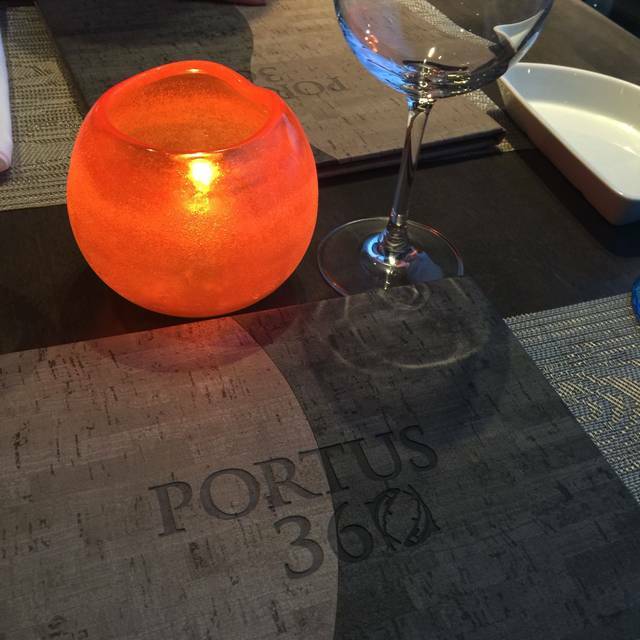 We went to Portus 360 for my girlfriend birthday, it was a wonderful unexpected experience ! les accompagnements n'avaient rien de gastronomiques (haricots verts, pommes de terres et quelques carottes. Great experience!!! Would recommend to everyone !! Celebrated our colleague's birthday here with the team and we all agree that the food, service and ambience is consistently good every visit. A hard benchmark to keep. Oh and big bonus, meticulously clean WC too. 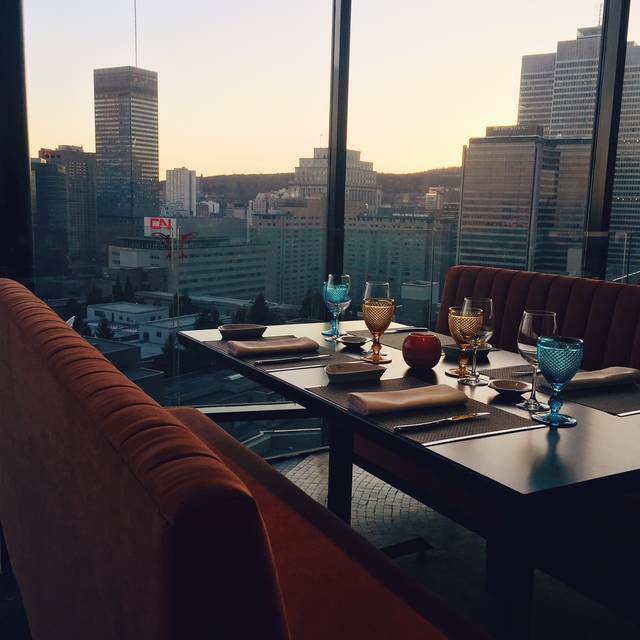 Amazing ambiance, outstanding view and the best meal i ever had. The service was blazing fast and very friendly. The food was very fresh, portions were generous and everything was cooked to perfection. the evening. It is a real treasure! Thanks to Chef Helena for her hospitality and for the great food! It was my daughter's birthday and we enjoyed it so much! Beautiful view, steak was very undercooked. Waiter never came by after to ask. Wife not impressed with my dinner choice. I got in trouble. Fantastic views of the city partnered with right sized portions that were meticulously curated and explained by the staff. Highly recommend. Food was absolutely stellar. The caldo verde and the charcuterie plate was nothing short of mouthwatering. I had mentioned that it was for a birthday celebration, and that I wanted a candle on the deserts we ordered but it did not happen. However two tables around us had celebrations happen. We enjoyed it. 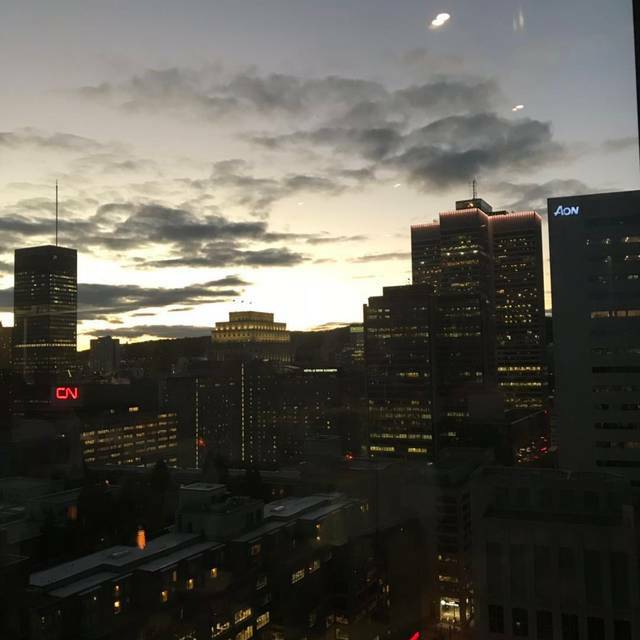 Nice view, good food, the service was perfect ! On a pris parillada de fruit mer, tres bon, mais Les aliments pour acompagner patates, legumes,ets pas assez pour deux. Les fruits de mer étaient excellents! La pieuvre était incroyablement délicieuse! Par contre le service laissait à désirer. Notre serveuse était incapable de nous conseiller côté consommation de cocktails et ne connaissait pas les ingrédients. Petit manque à ce niveau. Somme toute je recommande cet endroit. Really love the staff. I really enjoyed the food and the service. Beautiful view and ambiance. I will love to come back for sure. 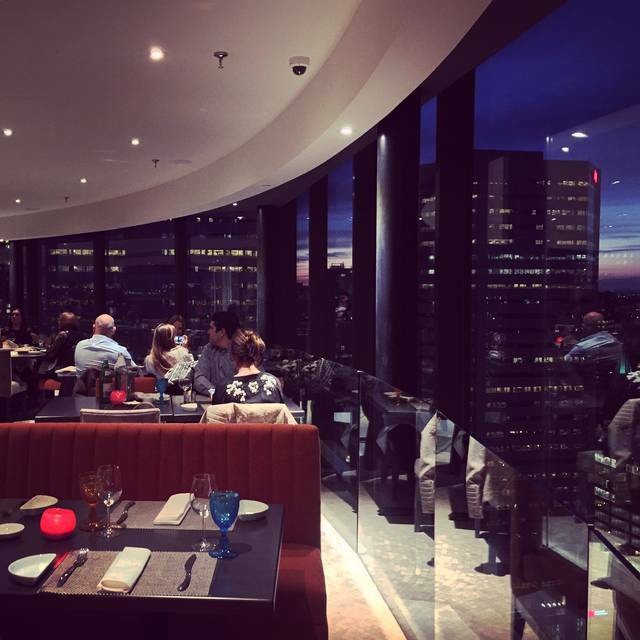 Delicious food, average service & excellent views of the city. However the underground parking garage was atrocious & not well-planned layout. It took us 30 minutes to leave our parking spot because we were boxed in. Both Evo reception & Portus 360 reception were not understanding & not helpful at all. Both said that they are not responsible for the garage however, it’s sad to say, especially Portus 360 staff that they have no solution for their dining guests. Basically you’re on your own! Finally a family left a parking spot that we were able to squeeze out. Having a great dinner with family at an expensive restaurant to end an evening like that left a poor taste with us. Really Amazing Portuguese Food!!! no doubts that my friends and I will return!!! Excellent food really worth the trip. 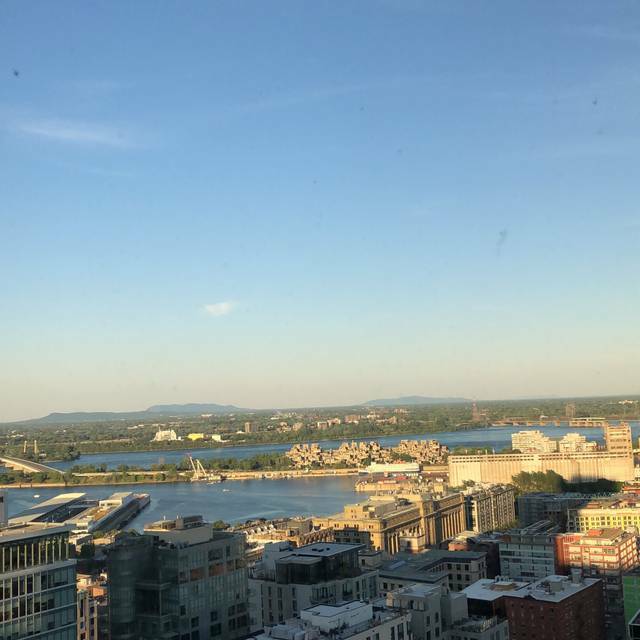 So is the view... the best in Montreal. It was a beautiful experience. We much enjoyed the food and the ambience. The only negative was the noisy table of 8 that was right next to us - including a guest whose chair remained far from their table which resulted in the waiter having to squeeze between our table and this guest (a bit unpleasant for us). Portus was great as always - I introduced 2 friends who had never been and they loved it too. The lunch menu is good value and the food quality and presentation are outstanding. Portions are just the right size to be satisfied but not stuffed. Have not had a bad meal there yet (and I've been a lot of times)! Waitress was not engaging, made no eye contact, did not explain the menu, unable to answer our questions. Only offered us wine list after we ordered our meal. Needed to ask three times for lemon slices for my sparkling water. Souper en famille pour des anniversaires et la retraite de ma maman. Nous avons tous pris le menu dégustation et nous n’avons pas été déçus! Ce fût une merveilleuse expérience! Je recommande haut la main. Excellent poisson, service remarquable et prise en charge de la clientèle. 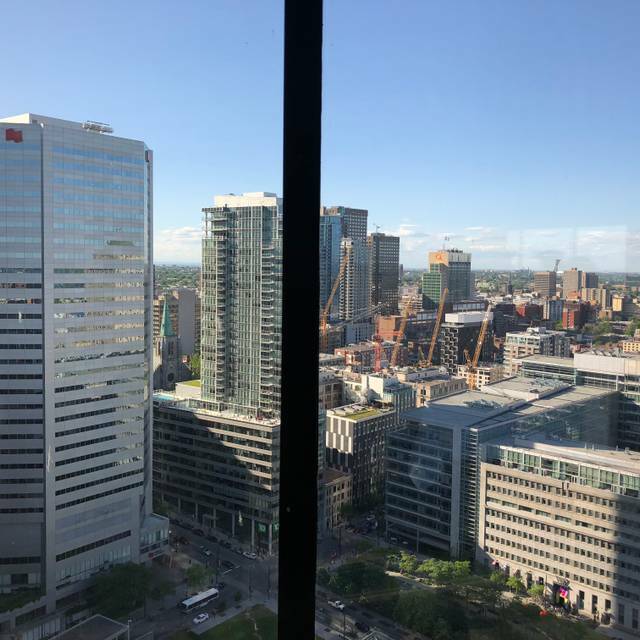 Nous avions demandé une place proche de la fenêtre pour admirer la vue de Montréal, nous avons eu une table bien disposée. Le vin recommandé allait parfaitement avec le poisson, l'ambiance était agréable. Les plats succulents.